GTM eliminates the need to constantly update tracking code every time either a new feature is added to the website or a performance tool gets an upgrade. Without GTM, updates and content changes would take a lot of unnecessary manpower and energy, but now all these changes and updates can be automated to spare us from wasting these things. A news site with over 10,000 news articles without site schema can get these schemas implemented instantly with just a few commands and rules in GTM given the site layout. Fingo currently use Google Tag Manager across many of our clients and on this scale we would require more developers to manage all tags across all of our clients as well as a manual way of tracking each tag and where it is located. We would also have to manage schema implemented on client sites and change information on these schema mark up’s on a regular basis to ensure the correct information is present. But with Google Tag Manager we have one expert who can manage all clients, tags and changes in one centralised platform saving time and money, while making implementations like schema much more effective by making them dynamic. GTM streamlines the marketing and development process by minimising the need for web developers whenever you need to track new user behaviours and conversions. Marketers can configure GTM and test tracking codes in a few hours instead of a few weeks. This means that marketers can implement ideas much faster and manage time-sensitive campaigns with efficiency and flexibility. By using a centralised platform one expert at Fingo can easily manage a large amount of clients and tags. This decreases the amount of manpower needed and drastically reduces the amount of time we spend on managing client’s tags and changes. This then leaves more time to make more important changes to client websites. Before GTM, tracking codes were implemented directly in the website code in different files so changes and updates would mean accessing these various files to change these codes. This often led to errors and costly mistakes for the website. Thanks to GTM, this process is made easier: all tags are controlled in one place. 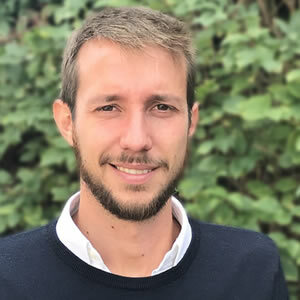 Fingo makes sure that every client has GTM installed on their website so that our expert can easily install, remove and update any tags across multiple websites in no time at all. And that’s not the only thing that is useful about Google Tag Manager. Once installed, you then have the ability to tap into the dataLayer which provides many different pieces of information on the website and in the code. Not only this but you can use this information to make schemas dynamic as well as enhance tracking information. We do this for all clients who want to see advanced metrics and tracking data for specific areas of their website, be it a product being purchased or simply tracking when a person leaves the website and how they leave the website. Accuracy is growing in importance (and difficulty) in the world of data, so being able to experiment with your implementation to ensure tags are firing correctly is massively important. This ensures it never affects your live data. GTM’s inherent debug features allow us to test and verify each update to your site before implementation, ensuring that your tags work properly before they go live. The debug console is an incredibly useful feature of Google Tag Manager as it allows us to test any new implementations or advanced data tracking before publishing it entirely live. To do this we activate the debug console which allows any changes to take effect on the target website for our expert only. This debug console displays data Layer variables and shows how tags are triggered for any kind of troubleshooting. We are now able to fully test anything we want before it goes live, and ultimately fix any issues before they can ever cause a problem. We make sure all items are fully tested before going live and that is thanks to one element of Google Tag Manager. Traditionally, event tracking required hardcoding for things like form submissions, as well as click and engagement tracking. GTM’s auto-event tracking feature eliminates the need to manually tag each link you want to track. Now, you can use the link’s attributes, or a standardised naming structure to target links or buttons, making the process significantly simpler. GTM offers further utility in the form of standardised templates for the more common tags used, as well as minimising the potential for mistakes and error. GTM will detect any existing tracking scripts added via the Custom HTML tags in GTM accounts and pauses these tags if they match a known malware domain, IP address or URL. Additionally, you can deny and revoke access to your GTM accounts at any time, as you always have full control over permissions. Whitelists and blacklists can also be implemented through commands to the data layer of your website. This is not managed on GTM, but rather on the actual website server, so you will have the final say on which Custom Tracking Scripts can run on your site. GTM minimises the amount of coding required for the more complex tags, although most tags can be created without a shred of coding. This makes Google Tag Manager perfect for marketers and frees up time for developers to focus on projects that require more advanced technical knowledge. On the other hand, development and IT staff will love GTM for its robust features and the level of customisation it offers. Who will benefit from GTM the most will depend on your website and the complexity of the tasks you hope to achieve. A lot of the last points that I have raised have all demonstrated the flexibility of Google Tag Manager. The utility it provides under a single centralised platform leads to the requirements for managing and updating tags being significantly reduced, allowing time to be spent on other things. We make sure Google Tag Manager is used for all of our clients because of its flexibility, combined with its advanced features. Tracking tools like Google Analytics tend to limit a user’s ability to track certain events like specific button clicks, specific user journeys and profiles. GTM can create triggers for user behaviours and user profiles which visit your site for example: “A repeat visitor from London who looked at 2 service pages within the last 2 weeks = this could indicate very strong interest and high possibility of conversion”. GTM also works with AdWords by automatically sharing specific user data which can drive remarketing banner activity. Remarketing banners usually work automatically for everyone who visits the site but you can use GTM to trigger banners specific to products the user is interested in, for example: “If the user was looking at watches, you can have a banner which says Free Delivery on all watches”. The triggers are a centre point for our advanced event tracking as we are able to use any element on a client’s website to trigger an event tied to that element when the element becomes visible or is interacted with. There is an incredible amount of options when it comes to triggering and they are a focal point for any event tracking, due to how specific you can be when triggering events. Large teams of people usually working on the same site can work independently in different workspaces and environments without stepping on each other’s toes. Agencies, developers and site owners can manage various tags and test them simultaneously while allowing site owners to approve or disapprove of any new changes. Workspaces prove very useful when just simply testing changes or preparing a big change to be published to a client website when others need to use Google Tag Manager at the same time. Up to 3 workspaces can be active and this allows separate work to take place at the same time. We do this when working on client sites, we create a temporary workspace make our own changes and then publish our own workspace so that we do not affect any changes the client may have made but not published to their live container. Websites are getting more complex and dynamic as lots of new features are becoming more common. Site speed is affected greatly given that various tracking codes take time to load and having 1 tracking code helps sites load much faster. Future updates from tracking tools are pushed through to GTM automatically, thus saving time and money on unnecessary manual updates. 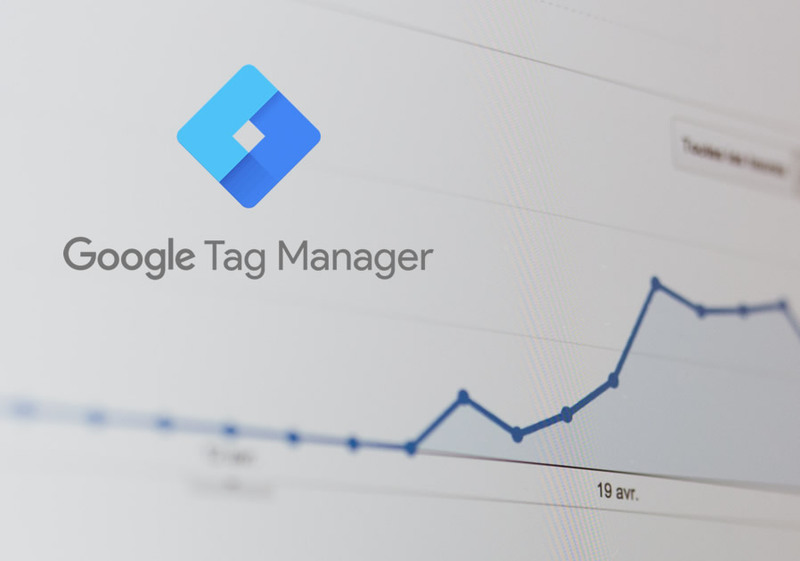 Google Tag Manager has become one of Google’s standard tools, just like Analytics and AdWords which have been standard tools for Google for a very long time. We believe Google Tag Manager intends to stay and has become a Google standard tool to be used in the long term for tag management and other advanced purposes. Talk to Fingo to discover how we could streamline the digital marketing process for you, with less time spent on needless back-and-forth exchanges and more time spent getting results!